Grp78/BiP exhibits distinct functions at divers cell compartments in order to improve cell survival, such as enhancing cell proliferation and diminishing apoptosis (Figure 4). Grp78/BiP is conventionally located to the ER lumen where it assists in ER proteostasis which is critically involved in the folding and trafficking of secretory and transmembrane proteins 3. 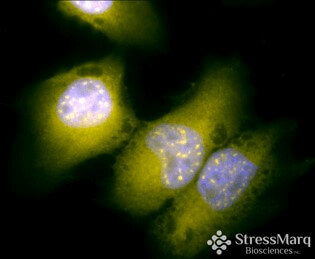 In order to facilitate protein synthesis and safeguard quality assurance, ER stress elicits numerous intracellular pathways collectively termed the unfolded protein response (UPR). The UPR reconstitutes the proteostasis equilibrium by increasing the ER folding capacity as well as decreasing the incoming protein client load. Reconstitution of protein homeostasis is ensured by translational blockage and the process of ER-associated protein degradation (ERAD). ERAD is activated by ER-resident chaperones such as Grp78/BiP, the main regulatory key compound during UPR, which recognizes misfolded proteins and redirects them to the cytosol for proteasomal degradation after deglycosylation and disassembly 129. More detailed information on the UPR will be provided under the section Mechanisms and Interaction. In case of ERAD saturation, unfolded polypeptides and defective organelles will be disposed by the process of macroautophagy after exposure to various kinds of cellular stress 130. Grp78/BiP acts as a central player in macroautophagy as it contributes to the removal of cytosolic misfolded proteins (for more detailed information see review by Catie Casas, 2017)130. Noteworthy, Grp78/BiP functions as a Ca2+-binding protein whose activity is stimulated by Ca2+ depletion thus maintaining Ca2+ homeostasis 130, 131. The ER represents the major cellular Ca2+ store, and many chaperones including Grp78/BiP are dependent on high Ca2+ concentrations for complete functionality 132. Grp78/BiP is also present in mitochondria in association with other chaperones implicated in Ca2+-dependent signal transduction between the ER and mitochondria. It is well known that ER stress as well as UPR activation lead to an up-regulated expression of Grp78/BiP and its location to mitochondria where it controls the Ca2+ efflux from the ER by interacting with the Sec61 channel 133. A novel cytosolic splice variant of Grp78/BiP, GRP78va, was identified as being involved in the cytosolic modulation of the PERK signaling pathway during the UPR, thereby allowing for the survival of tumor cells 53. As already outlined, the conservation of the NBD and SBD within Grp78va might by indicative for a counter-regulatory function towards Grp78/BiP by interacting with adapter molecules crucially involved in pro-survival pathways 53. 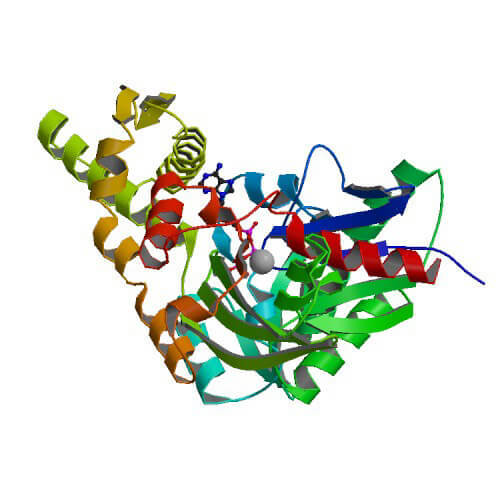 For more detailed information on Grp78va see also section Isoforms. The expression of Grp78/BiP varies with tissue type, developmental stage and stress conditions. 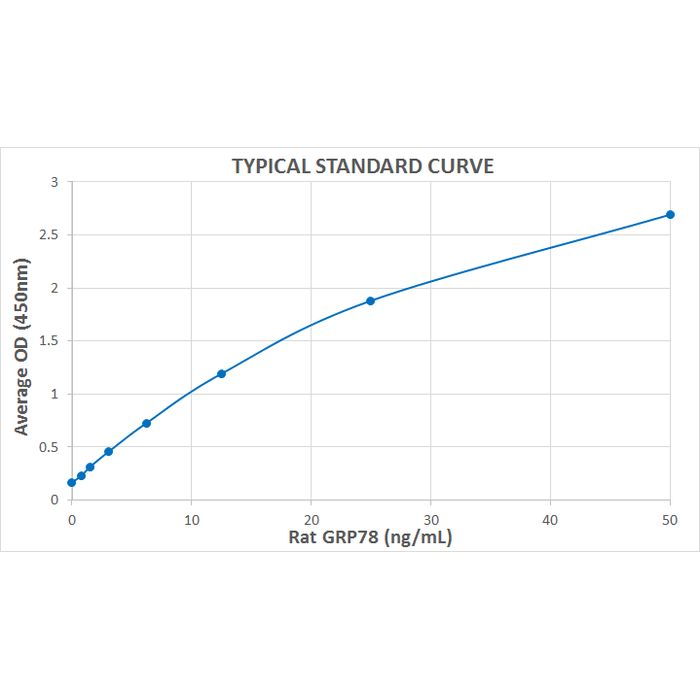 While the expression of Grp78/BiP in adult tissues is usually low under non-stress conditions, cancer cells show up-regulated levels of Grp78/BiP. Moreover, the expression of Grp78/BiP is induced upon exposure to ageing-related, environmental or genetic stressors culminating in the aggregation of misfolded proteins and the dysfunction of protein homeostasis in the ER 4. 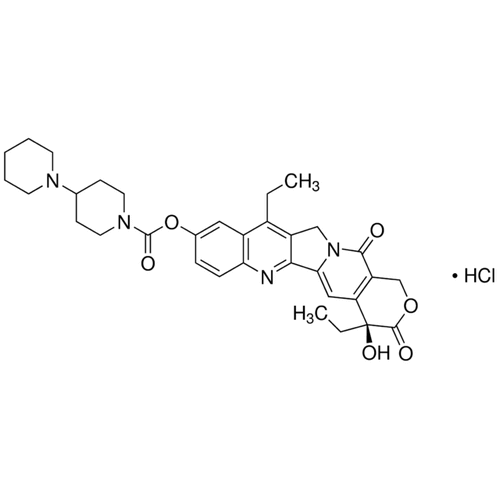 Data raised by the group of Robert Clarke provided evidence for a novel homeostatic function of Grp78/BiP in mediating lipid metabolism as targeting Grp78/BiP was found to specifically inhibit de novo fatty acid synthesis in tumor cells and to diminish mitochondrial β-oxidation through CPT1A (carnitine palmitoyltransferase 1A ) inhibition 5. In numerous tumor cells, Grp78/BiP is located to the cell membrane where it affects oncogenic pathways promoting tumor growth and invasivenness 134, 135. Membrane-associated Grp78/BiP has been shown to serve as a multifunctional receptor interacting with the plasma proteinase inhibitor α2-macroglobulin (α2M) 136. Cell surface-associated Grp78/BiP has also been found as being involved in cell-matrix adhesion by regulating focal adhesion kinase (FAK) and interacting with α1-integrin 137. Several investigations imply a pivotal role of the α2M-Grp78/BiP system in regulating the oncogenic PI3K/AKT pathway thereby modulating growth, metastasis and chemoresistance of tumor cells 123, 136, 138, 139. The α2M-Grp78/BiP system was also defined to control cell transformation and the induction of numerous c-Myc target genes 136 as well as the activation of the aerobic glycolysis and de novo fatty acid synthesis 140. According to Gopal and colleagues, membrane-bound Grp78/BiP promotes tumor cell histone acetylation thus modulating the Warburg effect in cancer cells by stimulating pro-survival signaling pathways 141. There is a wealth of evidence illustrating an active secretion of Grp78/BiP by tumor cells which in turn stimulates differentiation and growth of tumor cells through autocrine or paracrine mechanisms, respectively 142, 143. As mentioned earlier, Grp78/BiP was identified as an extracellular molecule in the human periphery 125. Secreted Grp78/BiP has also been detected in the oviduct where it is crucially involved in sperm-zona pellucida binding 144. Recent evidence suggests a potent anti-inflammatory and immunomodulatory quality of extracellular Grp78/BiP by expressing an anti-inflammatory cytokine profile 12, 130. A growing body of evidence indicates the contribution of Grp78/BiP to the process of cytoskeletal remodeling. Investigations by Birukova et al. clearly demonstrated that cell membrane anchorage of Grp78/BiP occurs through binding to the DnaJ-like ER co-chaperone HTJ-1/MTJ-1 11. Membrane integration of Grp78/HTJ-1 is facilitated by oxidized 1-palmitoyl-2-arachidonoyl-sn-glycero-3-phosphocholine (OxPAPC), a phospholipid which directly interacts with Grp78/BiP and targets the Grp78/HTJ-1 complex to caveolin-enriched microdomains 11. The membrane-associated complex then activates the Src/Fyn kinase followed by the assembly of the PI3K complex and subsequent activation of mTOR, sphingosine-1-phosphate receptor 1 and Rac1 GTPase, collectively leading to cytoskeletal re-organization in endothelial cells 11.